Leopold Survage was born in Moscow in 1879. In his early years he studied piano, and was encouraged to enter the piano factory operated by his Finnish father , completing a commercial diploma in 1897. However, after a serious illness at age 22, Survage rethought his career and entered the Moscow School of Painting, Sculpture and Architecture where he attended the studios of K.A. Korovin and L.O. Pasternak. In 1905 Survage formed the Symbolist group “The Blue Rose” with Archipenko, Larionov, Pevsner and in 1910 exhibited with the “Knave of Diamonds” society with Kandinsky, Chagall and Malevitch. 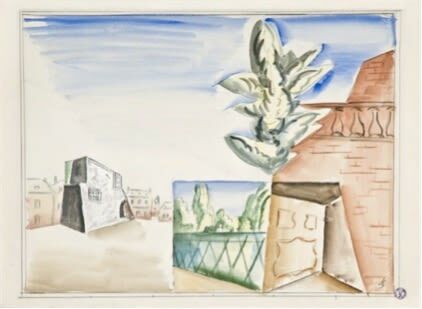 In France, Survage attended the academies of H. Matisse and F. Colarossi. 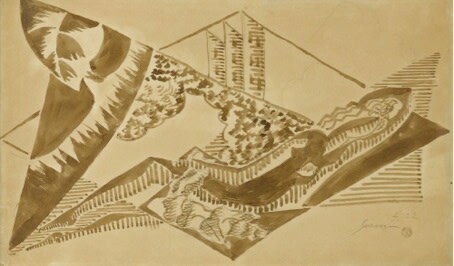 In 1908, he exhibited with the Cubist group at the Salon des Indépendants, and went on to exhibit with the legendary “Section D’Or” group. In 1912–1913 he created a series of abstract compositions “Rhythms in Colour” based on the idea of moving forms (the “multiplication principle”). In 1917 Apollinaire organised a solo exhibition for Survage at Galerie Bougard, and in the 1920s further solo exhibitions were held in the USA and Western Europe. In 1928, he participated in the collective exhibition “Contemporary French Art” at the Museum of Western Art in Moscow along with numerous representatives of the Russian emigration in Paris. 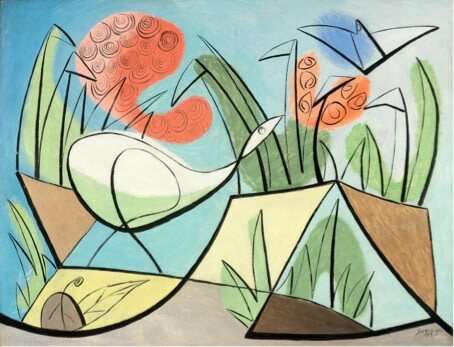 From the 1930’s Survage‘s compositions became increasingly surreal, regularly incorporating metaphysical symbolism. In 1939, he started to use the old method of making casein paints that maintain their colour for two thousand years. The translucent and matted shades of these paints made his compositions more tangible. 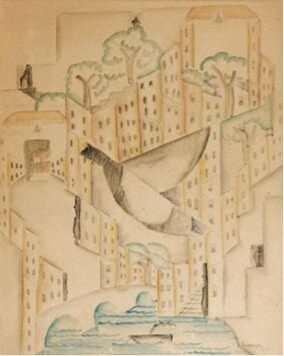 During WWII, Survage stayed in Paris and continued practicing art. In the 1950s-1960s he created cartons for tapestry manufacture. In 1963 he was awarded the order of the Legion of Honor. Survage ‘s works can be found at the Museum of Contemporary Art in New York, at the Institute of Arts in Chicago, the Museum of Fine Arts in San Francisco, the Museum of Contemporary Art in Paris, the Pompidou Center in Paris, the Museum of Fine Arts in Lyon, the Tretyakov Gallery in Moscow and the National Museum in Athens. Leopold Survage died in 1968.